The biggest upgrades of the all new Skoda Octavia are the 8-inch high resolution infotainment system and the bifurcated LED headlamps. Skoda has announced that the all new 2017 Octavia will be launched in India on July 13. The premium D-segment sedan brings with itself a host of upgrades - some notable, and the rest incremental. The Octavia has always been noted for its luxurious appeal, offering spacious interiors, a host of technology inside, and appealing design. With the upcoming launch, the Skoda Octavia will rejuvenate what happens to be one of Skoda's most popular offerings globally. Here’s looking at everything new that you can expect inside the 2017 Skoda Octavia. The new Skoda Octavia in India will come with an all-new 8-inch SmartLink+ infotainment system, up from the 6.5-inch SmartLink infotainment system on the previous Octavia. 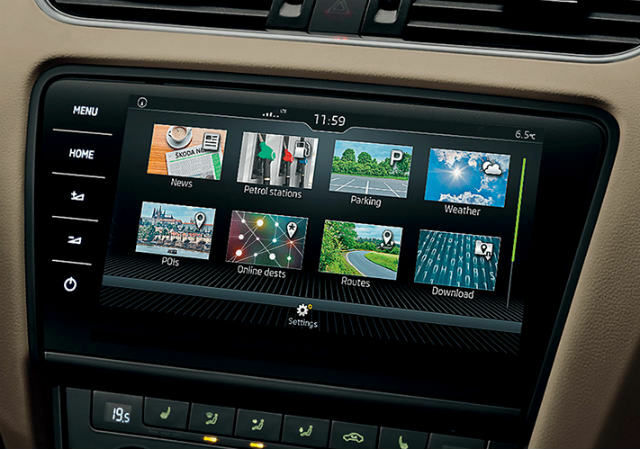 The new infotainment system presents a glossy single glass facade with touch sensitive buttons replacing the physical counterparts from before. It is also of higher resolution, and presents the upgraded SmartLink+ firmware with 2.5D integrated satellite navigation system. Support for Android Auto, Apple CarPlay and MirrorLink is retained. The system supports Bluetooth connectivity, integrated voice commands, text message information readout via voice, wired input via aux and USB ports, Skoda Connect mobile ecosystem and all the other features that it had before. The new infotainment system is now more high resolution, which means everything on it looks crisper than before. This particularly aids functional elements like the rear parking camera. Alongside the standard configuration of four rear speakers, the new Skoda Octavia also gets Canton audio speakers in the premium trims. This would presumably bring in bigger sound to the upgraded cabin. The Skoda Octavia has typically sold in India at a slight premium over the rest of its competition, and Skoda seems intent on providing more for the premium they charge. The infotainment system will presumably include more versatile audio settings, and audio sources will include USB, aux, Bluetooth, CD and SD card. Alongside the inclusion of Canton audio, the new Skoda Octavia finally brings in a 10-colour ambient lighting system previously seen in the Superb. The ambient lighting LEDs are included in door trims below the wood inserts and in the footwell, in line with Skoda’s efforts to make the in-cabin experience more luxurious. 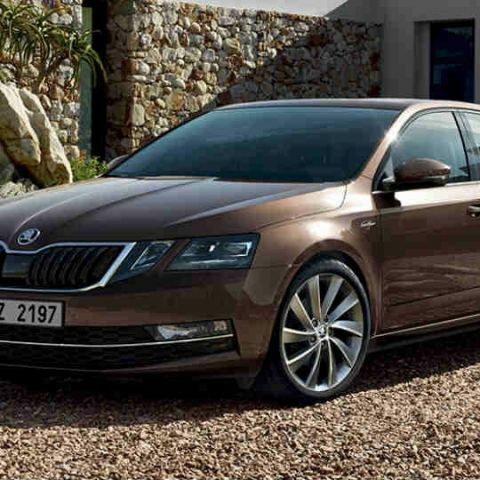 One of the biggest additions to the new Octavia is the semi-automatic parking system. The handsfree parking mode takes charge of the steering wheel for parallel or perpendicular parking, similar to how we’ve seen before. The Octavia is the first in this segment to get the semi-autonomous parking feature, loading up on more equipment than its competition. Rest of the technological wizardry in the new Skoda Octavia include memory-saved wing mirror positions, audio and drive setting memory slots in the infotainment system, a phone box with wireless charging pad, dual-zone climate control system, and more adjustable seats. Elements like heated windscreen and steering wheel have been included in the global variant, although they are unlikely to be included here. 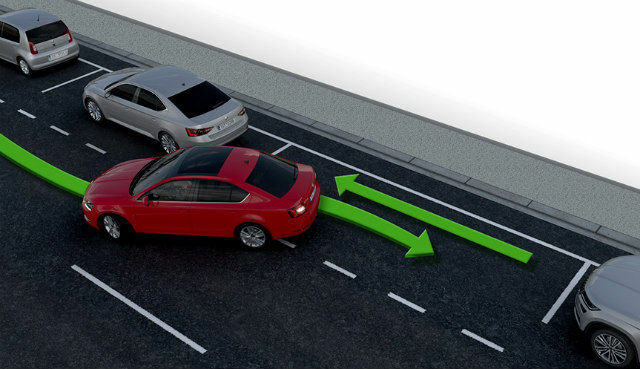 The new Skoda Octavia still remains a very safe car, and now includes a number of advanced assist features in the global variant, making it smarter. The host of safety elements, though varying by region, will include a maximum of nine airbags, radar-equipped front assist with collision avoidance and predictive pedestrian detection, radar-powered blind spot detection and lane change assistance, automatic headlamps, rain-sensing wipers, tyre pressure monitoring, hill hold control and the rest of the standard features (ABS, ESC, etc.). It also comes with dynamic chassis control (DCC) to adapt the riding style and quality to driving conditions and drive modes.